Cryptocurrency investors “should have been thinking long term,” says Reddit cofounder and Coinbase backer Alexis Ohanian. A longtime believer in cryptocurrency, Ohanian called its decline a “painful thing.” By the end of last year, Bitcoin had plummeted 80% from where it stood a year prior. But Ohanian said disappointed investors should have sought earnings over the long run. “I think that's just generally good advice for any kind of investing, but especially something so nascent as crypto,” said Ohanian, the co-founder of venture capital firm Initialized Capital. 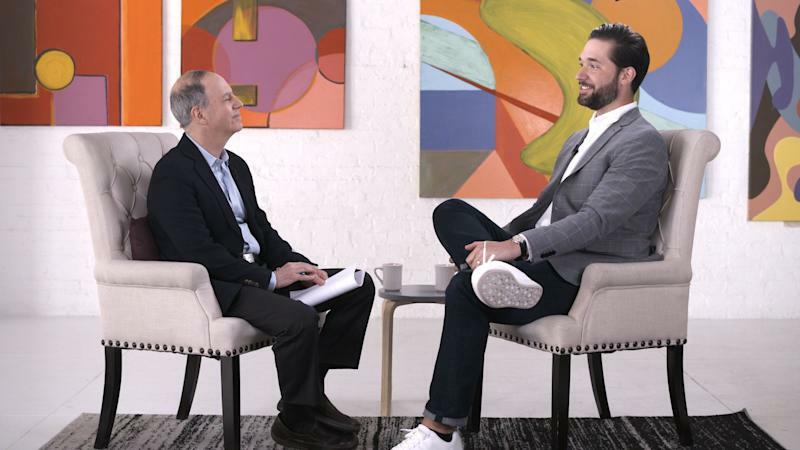 Ohanian made the comments to Editor-in-chief Andy Serwer in a conversation that will air on Yahoo Finance in an episode of “Influencers with Andy Serwer,” a weekly interview series with leaders in business, politics, and entertainment. Also in the episode, Ohanian talked about what he says is an overlooked tech market, why potential regulations of the social media make him nervous, and how race has played a role in his marriage with tennis superstar Serena Williams. Weeks after graduating from college, Ohanian co-founded the social media site Reddit, an instant hit that’s now one of the most popular destinations on the internet. At age 23, he became a multi-millionaire when he and his partner sold the site to Conde Nast. He later co-founded Initialized Capital, which finds and develops software companies, among them Coinbase and Instacart. Cryptocurrency once garnered lots of hype, Ohanian said, but another big tech market has attracted hardly any: services for the elderly. “We're seeing all this infrastructure being built now by millennials for boomers, who are a growing and growing portion of the population, who have the dollars to spend, and who are now tech literate enough,” Ohanian said. He pointed to ventures like Voyage, an autonomous taxi service built for retirement communities; and True Link Financial, which provides banking services for the elderly that protect them from scams. “It is really important that as a government we take into consideration the fact that if we set a standard of rules, the people in power today will get to set them, but the people in power tomorrow will get to change them,” he said. In November 2017, Ohanian married tennis superstar Serena Williams, two months after the birth of their daughter Alexis Olympia. Part of one of the country’s most recognizable interracial couples at a divisive political moment, Ohanian said critics have not confronted him about it, at least face to face. Ohanian also gave his outlook on the 2020 Democratic presidential race, pointing to a candidate who has flown under the radar. He gave one other reason for his interest in Gabbard. “She is the first millennial presidential candidate,” he said.